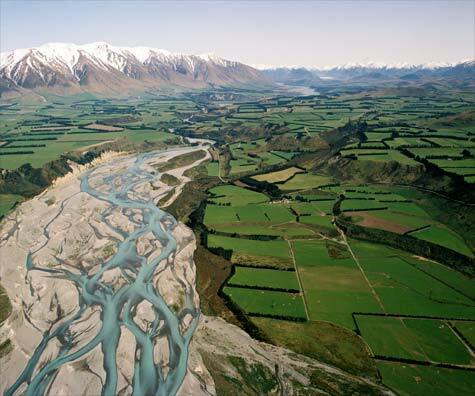 The Rakaia and Rangitātā are the only two major rivers in New Zealand that originate from high-altitude glacier-dominated mountain sources. They flow more than 100 kilometres across the Canterbury Plains to the sea. The mean annual flow in the Rakaia is 221 cumecs (cubic metres per second), but it is estimated that by 2018 it may be as low as 76 cumecs, because of water taken for irrigation. During a flood, it can be as high as 3,700 cumecs.